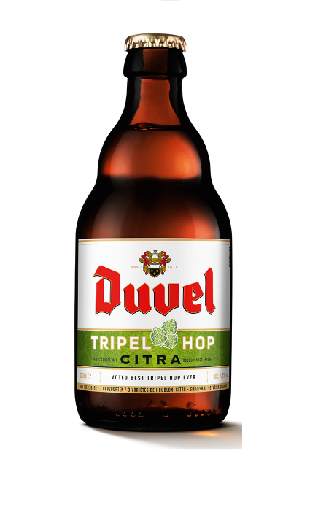 Duvel is a Belgian pale beer of slight bitterness, with a refined flavor and a distinctive hoppy taste. The unique brewing process, which takes around 90 days, ensures this beer its purity of character, delicate foam thanks to high carbonation and a pleasant mouthfeel. Duvel beer is a benchmark among fully-bodied ales. Its color is intense golden with yellow and orange tones while its white head is substantial, consistent and with good retention. Its strong aroma is fresh, citrus, fruity and floral with a hint of herbs and spices. 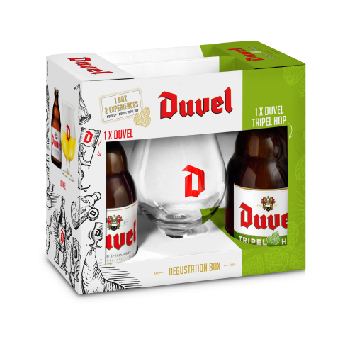 Duvel is a refreshing beer, beautifully balanced and easy to drink. Initially, malt prevails in its flavour but soon hops are also perceived providing a distinctive bitter and herbal taste in the end. All this can be achieved thanks to the use of only the highest-quality hop varieties. This is a great beer and definitely, a classic.